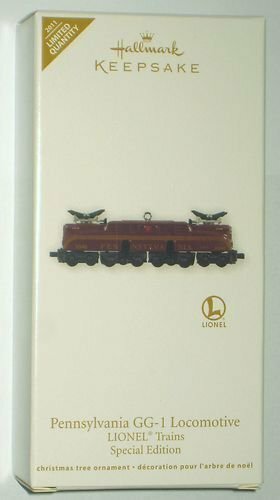 This ornament is the repainted version of the 3rd ornament in the LIONEL Trains series. It was issued in limited quantities and only available at the 2011 Keepsake Ornament Debut event. Sold out quickly. Items Similar To "Hallmark 2011 PENNSYLVANIA GG-1 Lionel REPAINT Locomotive Trains ..."